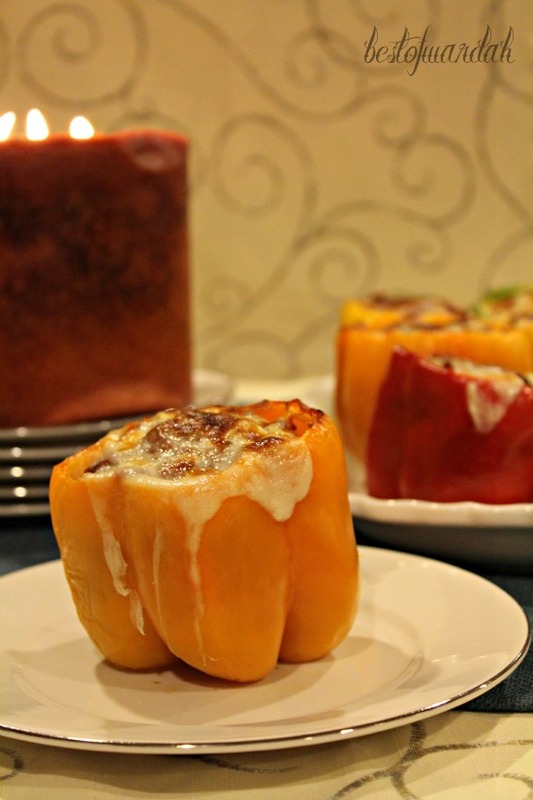 If there's any food that screams fall, it has got to be this colorful stuffed peppers dish. 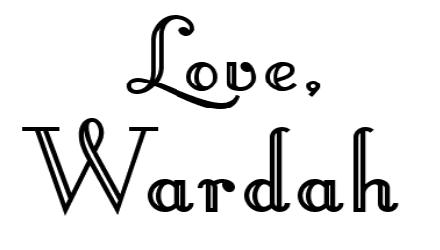 Traditionally, when thinking of fall foods, the things that come to mind are pumpkins, spices, and caramel flavored drinks - on a side note, I can't wait to try the salted caramel mocha at Starbucks. But, I think the colors in this dish really remind me of fall, especially now that the leaves have started to change colors. Not only is this dish delicious and warming, but it is also very visually appealing and it smells amazing. You see the candle in the background? Spiced apples. 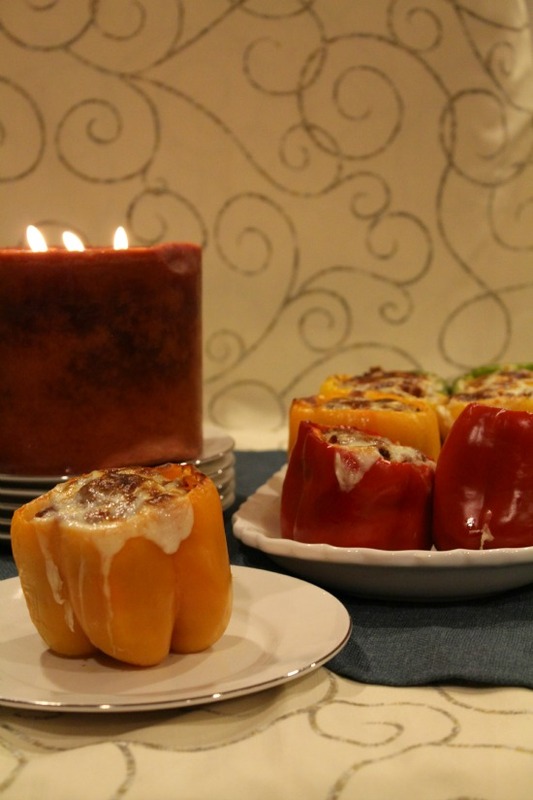 I could not get enough of going to smell the candle, and then back to the peppers, and then the candle, and then the peppers, and so on and so forth. 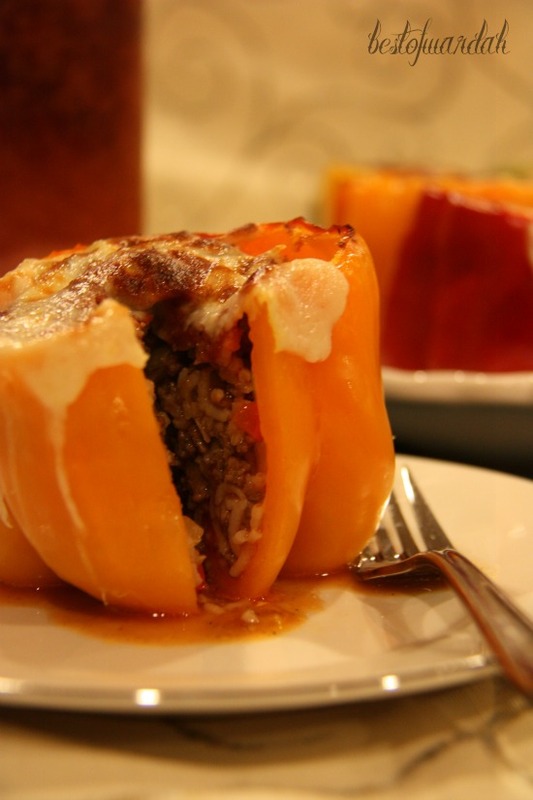 The original recipe called for vegetarian protein to be used (instead of the beef) because this dish is supposed to be vegetarian friendly. I substituted that with beef because my family is the opposite of vegetarian. 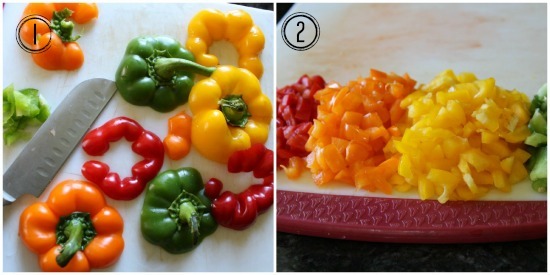 All of the peppers can be prepared in advance! I made my dish the morning of the family party and saved only the baking for the end. 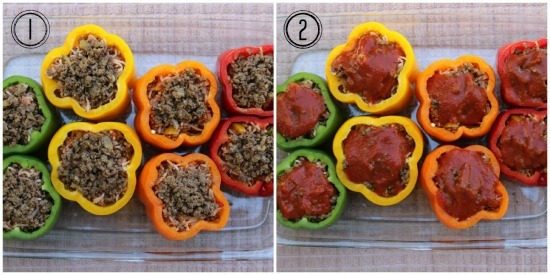 And please do leave the peppers in the oven for 45 minutes or else the peppers won't be soft enough to eat with a fork. I set my oven on the "broil" setting once I put the cheese on so that I could get this lovely brown color in only a couple minutes. Otherwise, it might take too long. 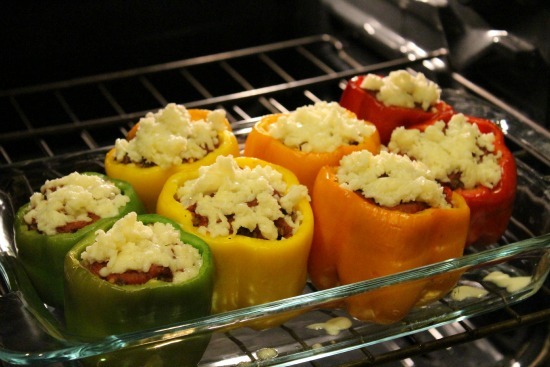 If you decide to do this, make sure to keep an eye on the peppers or else the cheese might burn. 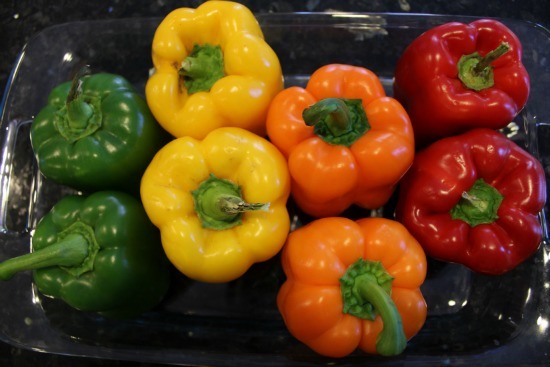 Cut tops off peppers, seed insides, and arrange peppers in a large baking dish. Chop usable portion of the tops. Heat oil in a large skillet over medium heat. 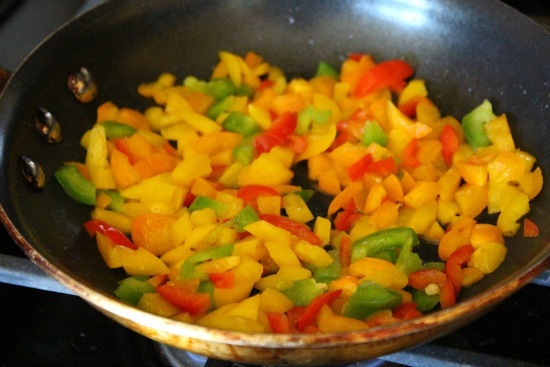 Saute chopped peppers and onions in oil until soft. Reduce heat to low, and continue cooking for 5 minutes. 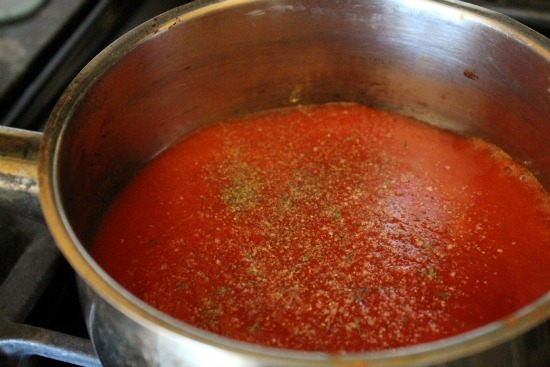 Meanwhile, heat the tomato sauce in a saucepan. 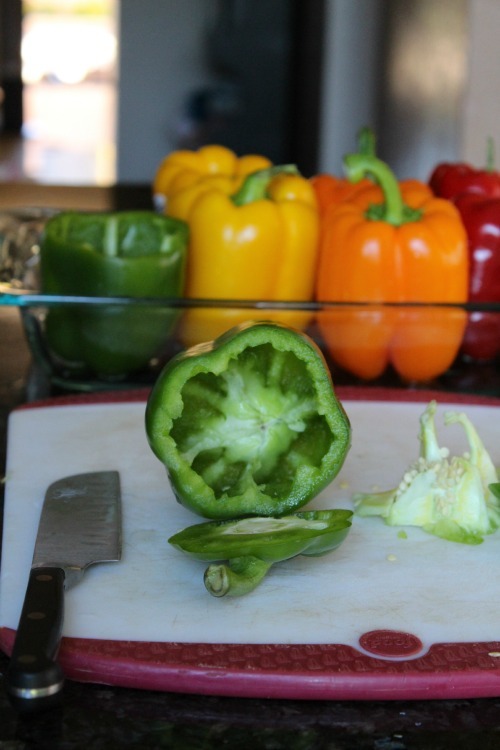 Season it to taste with salt and pepper. 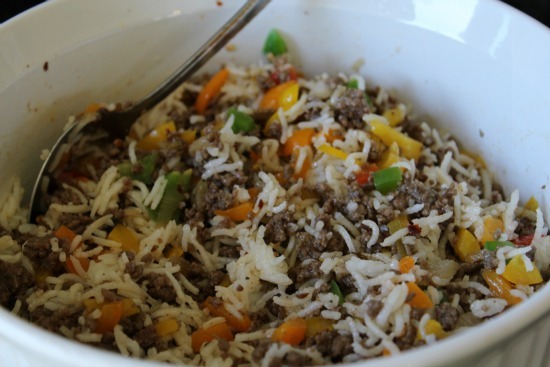 Mix together the cooked beef, rice, bell peppers and onions, and 1 1/5 cups of tomato sauce. Cover, and bake about 45 minutes. 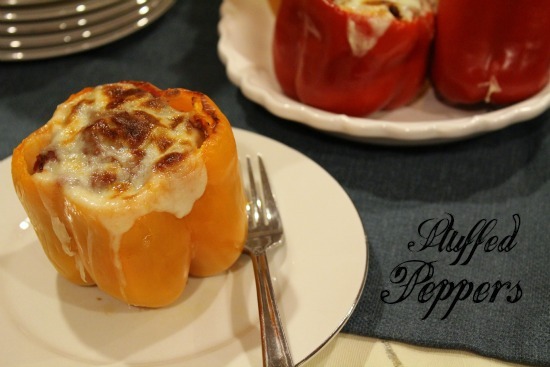 Uncover, top each pepper with mozzarella cheese, and bake until cheese is melted.